Carry out your laundry duties in style with the stylish Bold Round 30L Laundry Cabinet & Sink from Everhard. The Bold Round 30L Cabinet & Sink combo is part of Everhard’s Excellence Collection of laundry cabinets. 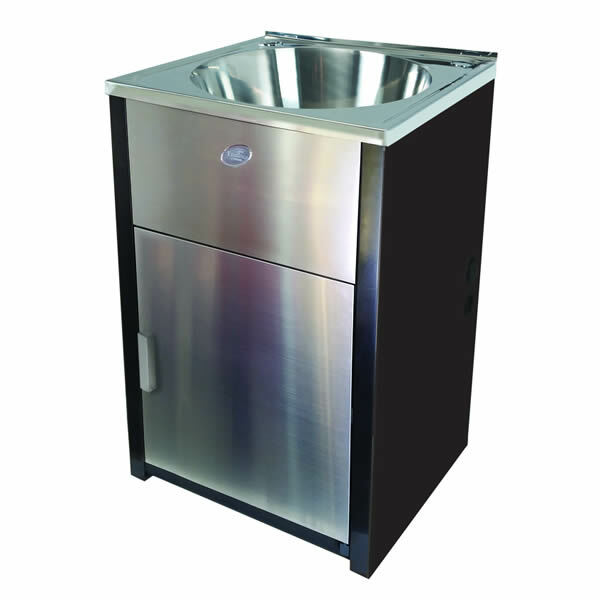 It features a modern looking stainless steel door and front panel, coupled with a bronzed charcoal cabinet coated in a powder finish. Not only is it elegant to look at, but it also is a powerful laundry unit. The Bold Round Laundry Cabinet & Sink boasts of a powerful capacity of 30L and is equipped with a polished stainless steel round bowl. Measuring 560x515x870mm, this unit contains adjustable feet and bypass holes on the side of cabinet to fit washing machine hoses. 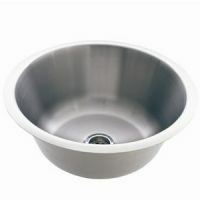 It features a single bypass and also includes a 50mm basket waste. A chrome handle on the front door lends to its contemporary looks. 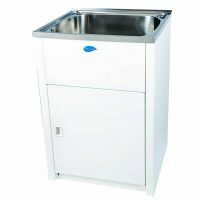 Everhard Industries is a reputed Australian manufacturer known to offer high quality products and this is reflected in the Bold Round Laundry Cabinet & Sink range as well. 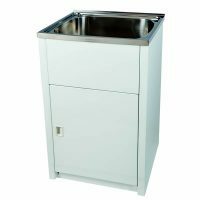 As a measure of quality, Everhard offers impressive manufacturer warranties on this laundry unit, including a lifetime warranty on the stainless steel bowl and metal cabinet, and a 1-year warranty on all hinges, rods, plugs and wastes. The Bold Round 30L Laundry Cabinet & Sink is currently available at Ross’s Discount Home Centre at an incredible deal. Grab this product from us today!